Lightweight and comfortable to wear, which can make you outstanding in the crowded. Size:One size fits all, super easy to put on your head and you can position it however you want. 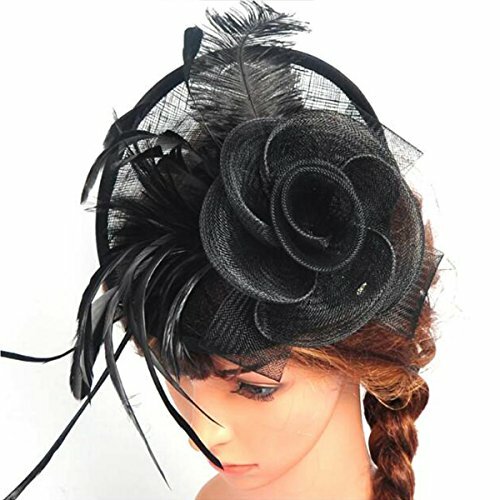 Style:This beautiful, timeless,fashion,classy and elegant vintage 20s 50s inspired feather Fascinator hat is suitable for as a wedding Fascinator, tea party hat, Cocktail hat or any special occasion. If you have any questions about this product by Lanzom, contact us by completing and submitting the form below. If you are looking for a specif part number, please include it with your message.